The craft beverage industry is booming in the Rochester and Finger Lakes region. Breweries, distilleries, cideries and wineries offer visitors tastes and flavors unique to this area. Right now is a great time to visit so you can take advantage of a special promotion that will help you experience the ever growing craft beverage industry. 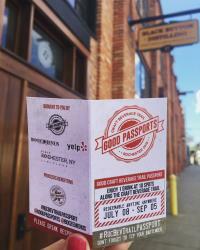 Good Passports, BoozeMenus, Yelp Rochester and Visit Rochester have teamed up to present The Craft Beverage Trail Passport, available for purchase now through September 3, 2016. 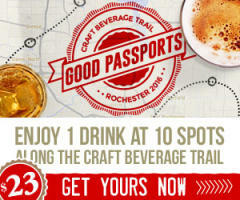 Proceeds support the Rochester Craft Beverage Trail, which features even more locations, events and more. 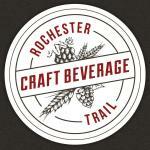 No matter when you plan your visit you will discover tasty experiences, meet wonderful people, and find many reasons to return for the Rochester Craft Beverage Trail.